The fruits of college education are inexhaustible, and that’s exactly why millions of students from around the world apply for the opportunities to study in the institutions of higher learning. In this time and age, probably more than ever before, the market abounds with opportunities, with appealing income, for college graduate, which means that getting a higher education is necessary. The first step to get to an institution of higher learning is to express your interest in education by filling a Application Form. 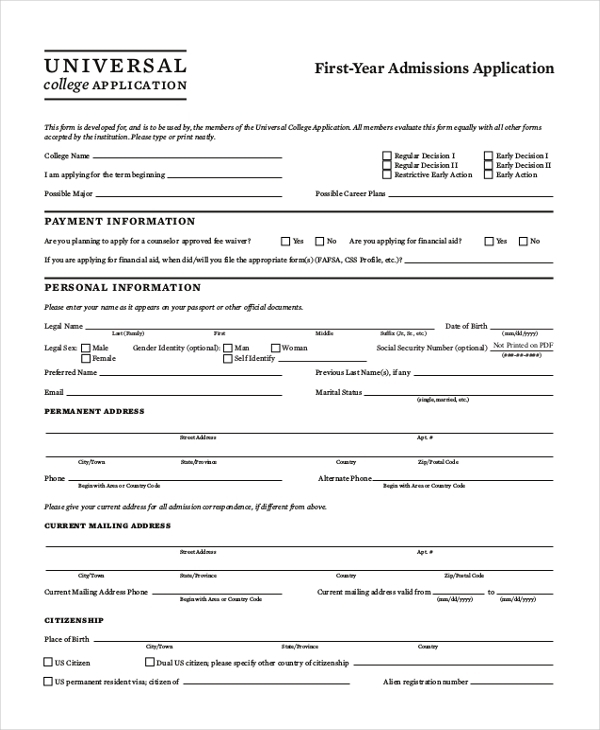 You should fill this form if you are ready to apply for a college education. 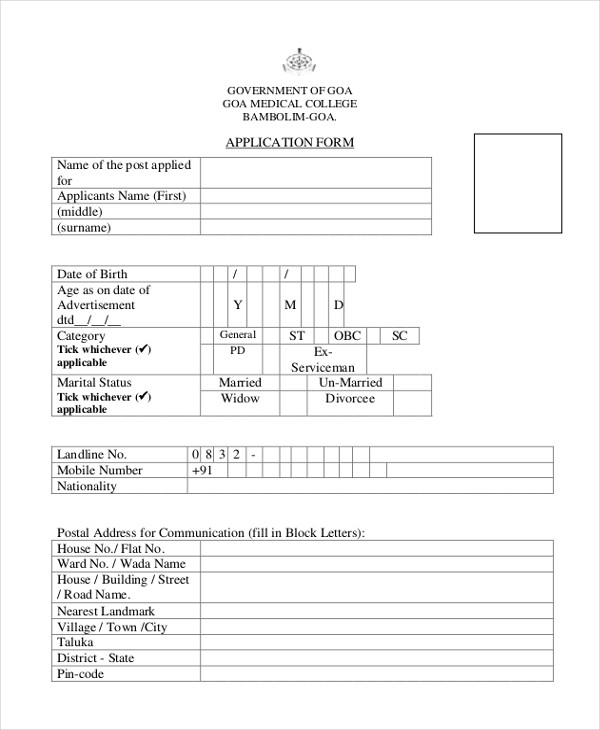 It would great if you read the form first before you fill in your details. Going to an international college is, of course, a great achievement, but you must first sign an application before you can dub yourself an international student. 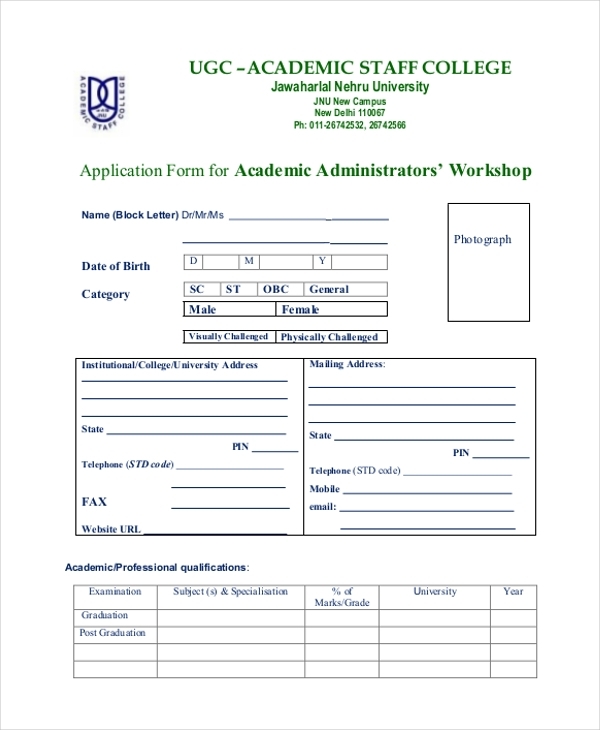 You can use this form for the applications. It is going to take you a while to read this form, but not as much time as it would if you choose to create the model yourself. It is easy to read, though, regardless of the length. Pursuing a medical career begins by taking a college education. That is exactly is why you need to find a good school, and send in your application as soon as possible. 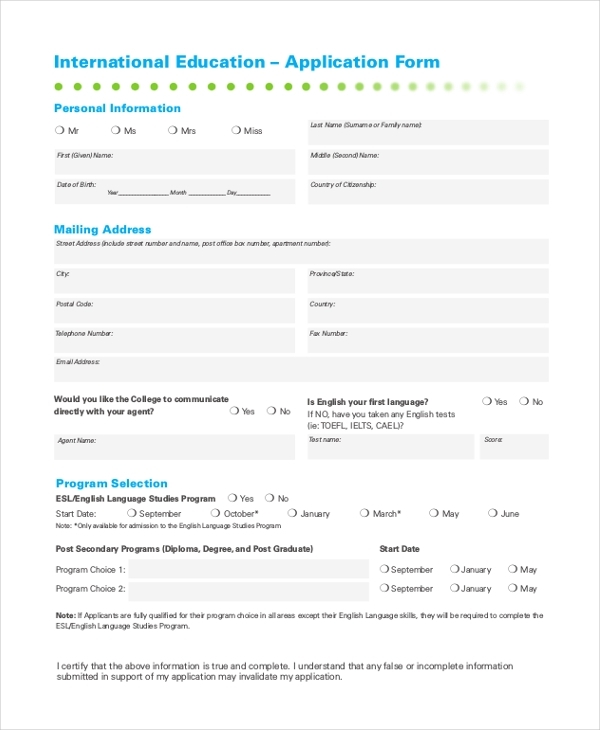 Use this form template for the application process. The form is comprehensive, so you should have an easy time filling in the details. It is a six-page template, though, which means you will need to schedule enough time to fill the form. 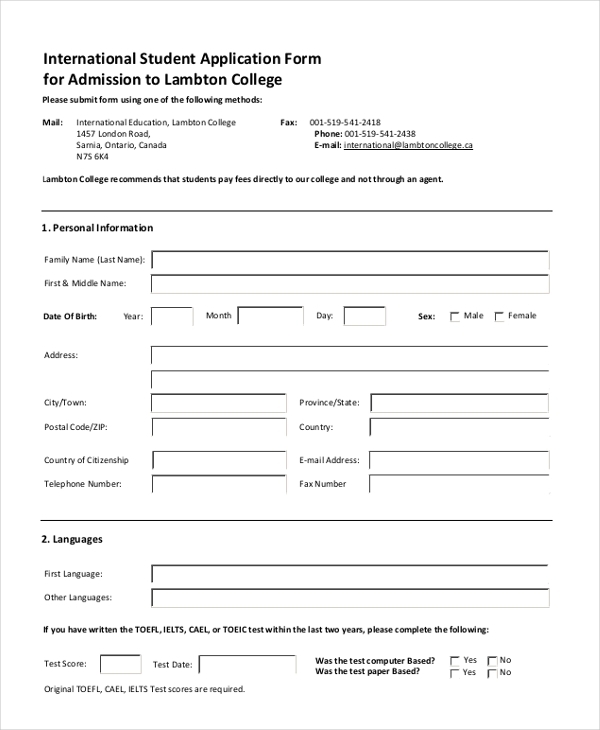 Designed to best suit international college application, this form will save you the hassle of wondering what school application template is suitable for the application process. The template is print -ready and easy to fill. 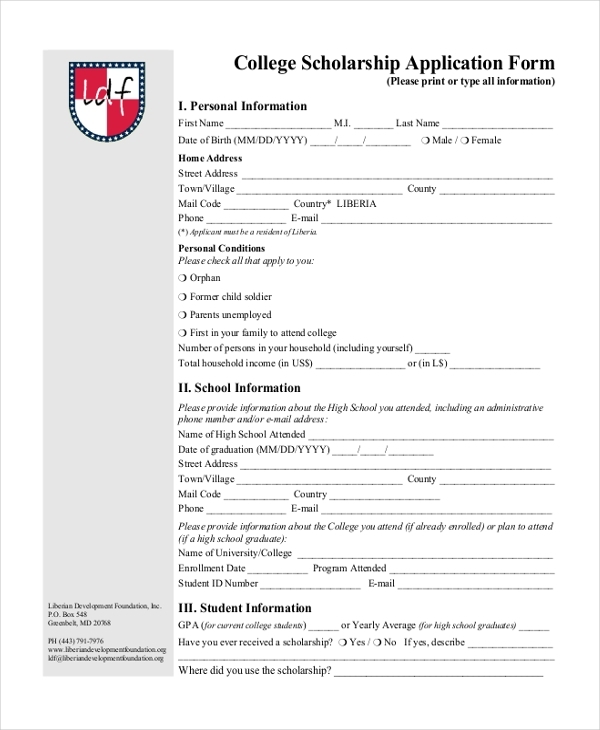 You can apply for college scholarship if you or the members of your family don’t have enough finances to pay for your education. 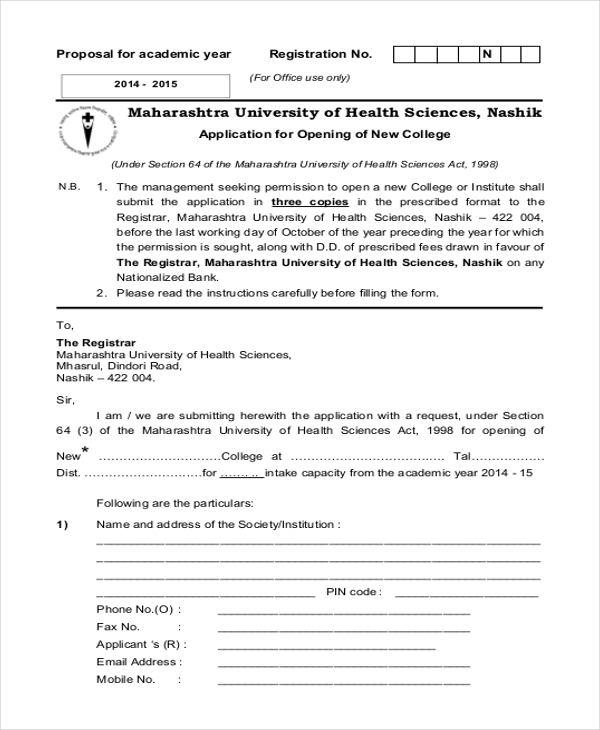 The form is comprehensive and easy to fill. Is college education necessary these days? In a society where there are so many debates on the necessity and relevance of higher learning, it is easy to question whether the education is worth the money and the time. Some people, especially those who already have everything figured out, often consider college as a big waste of time. Some individuals don’t attend institutions of higher learning because they don’t know what they want to do with their lives. For some, still, college is an imposition. However, is college education necessary? Yes, there are still many good reasons why you should attend college. The following is a list of reasons why you don’t want to miss college. It is the only best way to gain valuable knowledge and work skills. Many jobs in the market today require a college degree. A graduate with a college degree will always make more money. What are the benefits of earning a college degree? Exactly how important is a college education? If you are really hoping for a long-term career growth, you should not have an issue going to college. Yes, investing in college education may seem somewhat burdensome now, but the fruits of holding a college degree are far too immense.